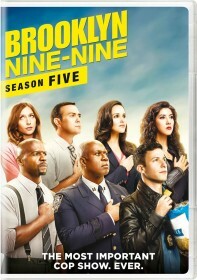 FOX has issued the press release for the Tuesday, January 19 episode of Brooklyn Nine-Nine, "9 Days". When Captain Holt and Jake accidentally contract the mumps during an investigation, they decide to be quarantined together in hopes of still solving the case. Meanwhile, Rosa tries to help Boyle through a mourning process, and Terry is forced to clean up Hitchcock and Scully's mess in the all-new "9 Days" episode BROOKLYN NINE-NINE airing Tuesday, Jan. 19 (9:00-9:30 PM ET/PT) on FOX.